This study was aimed to assess the effect of oral application of Lactobacillus plantarum (2 × 107 CFU g−1 feed) as a probiotic on growth performance and immune status of vaccinated rainbow trout (29.5 ± 2 g) to yersiniosis at 16 ± 2 °C for 72 days. Fish were randomly allocated into 12 fiber glass tanks (4100 L) at a density of 80 fish per tank (240 fish per treatment). 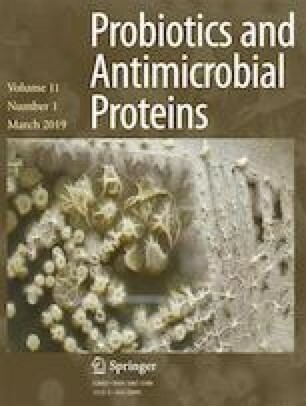 The results revealed that the activity of lysozyme and alkaline phosphatase was significantly higher in immunized fish fed with diet supplemented with probiotic (vaccine +probiotic) than that in the immunized group fed with basal diet (vaccine group) while no significant differences in levels of hematological parameters, complements, total IgM, proteins, and the intestine lactic acid bacteria (LAB) were detected. Also, significantly a better growth performance in terms of feed conversion ratio, weight gain, and thermal growth coefficient was seen in the vaccine + probiotic group than that in the vaccine group. These results indicate that feeding probiotic after vaccination can enhance the efficacy of immersion vaccination to Yersinia ruckeri. The authors wish to thank Mr. Bagheri and Mr. Daryadel for their valuable assistance. This work was financially supported by research grant from research council of the University of Tehran and Center of Excellence of Aquatic Animal Health, University of Tehran.